Now Available as an Audio Download! ONLY $10.00 This was an article that became a significant reminder to many people over the past couple years. They read it over and over again. Now you can listen to it wherever you go. Music has been added to the background for extra enjoyment as well as to assist with creating new pathways in the brain for change. As we face challenges in our private realities, on our private stage, we are caught in the performance, the drama and intrigue of the experience. 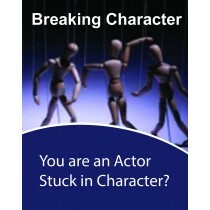 The actor now believes that he or she is the character, the role being played. This is the dilemma that we all face. The characters we play are created from archetypes written into the script of this collective version of reality—we simply add uniqueness to these characters based on the stories we select to play out as our experience. Most of our characters are largely based on deficiencies. We are always in lack of something. This sets the stage for us to spend great effort seeking to fill a void. But in the process of filling that void a vast array of experiences are created to further support these deficiencies, leaving us most often with short-lived substitutions.